The boys have been wanting to make a craft and since St. Patrick's Day is coming up, we made some shamrock cards. 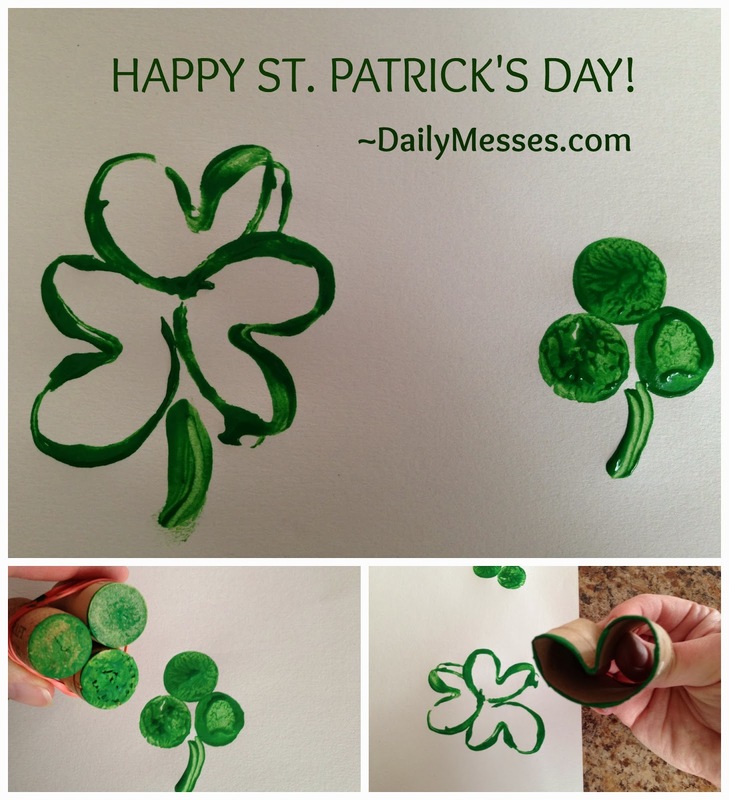 We had already made shamrock fingerprint cards, so we tried making shamrock stamp cards this year! The best part is that we made the stamps from things we already had in the house. I had run out of potatoes, so we couldn't make the potato stamp. However, I did have corks that I had saved from Christmas for a craft that I never got around to making. I also had empty toilet paper and paper towel rolls that I grabbed out of the recycling bin. You could also make stamps out of an apple or green pepper slice!